Our successful execution has resulted in numerous awards on behalf of our valued clients. Finite details are a part of each and every project so our team is accustomed to executing the most sophisticated custom projects effectively. We’ve included just a few of our many awards, accolades and client testimonials. The recognitions listed below are a representation of the pride and commitment to excellence we bring to each and every project. For the past 70 years, the Washington Building Congress has served as a resource to the metropolitan Washington building industry, not only by providing valuable networking opportunities for its members, but by actively shaping the direction of the industry and the city through time. In recognition of outstanding work in connection with Latham & Watkins. 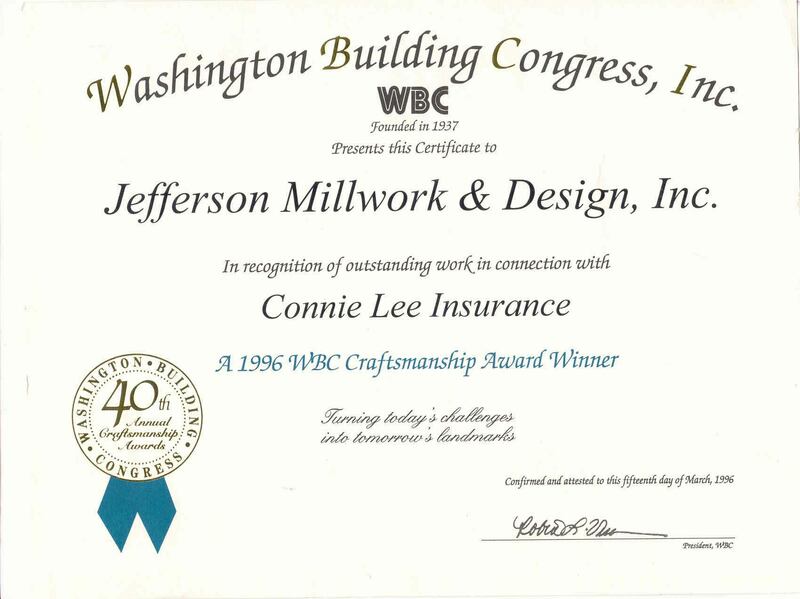 In recognition of outstanding work in connection with Connie Lee Insurance. In recognition of outstanding work in connection with The Henry J. Kaiser Family Foundation Project. In recognition of outstanding work in connection with The National Museum of the American Indian. In recognition of outstanding work in connection with The International Monetary Fund Headquarters. 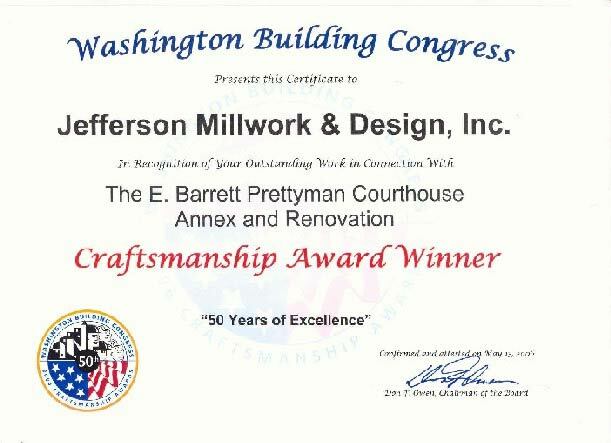 In recognition of outstanding work in connection with The E. Barrett Prettyman Courthouse Annex & Renovation. 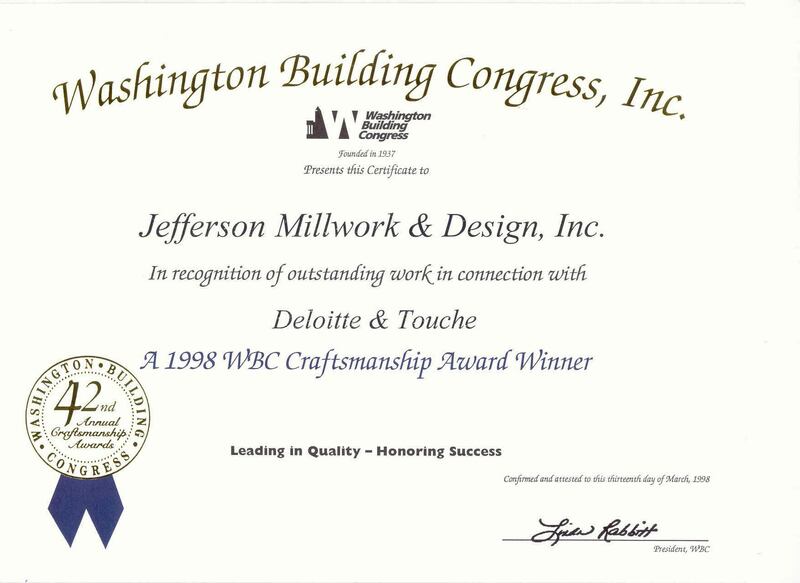 Jefferson Millwork & Design is extremely proud of the close relationships we forge with our customers. Through our professionalism and commitment we stand head and shoulders above our competitors in customer satisfaction. The Jefferson Team saved the day! I count Jefferson as among the better firms with which I engage in business. 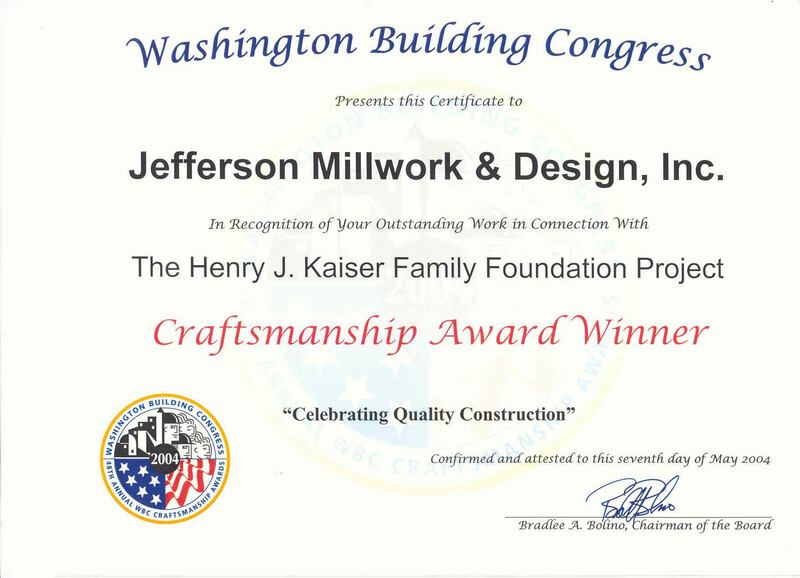 Jefferson Millwork’s dedication to professionalism and open lines of communication with those involved in the day-to-day, hands-on work at the site have allowed KPB to complete the millwork installation with ease, on-budget, and on time! I had my socks knocked off with this building! Incredible job that everyone [at Jefferson] should be proud of! Not only was everything managed perfectly, but the work was flawless! The craftsmanship and professionalism demonstrated by Jefferson was exceptional, and it was a pleasure to work with you on this project. 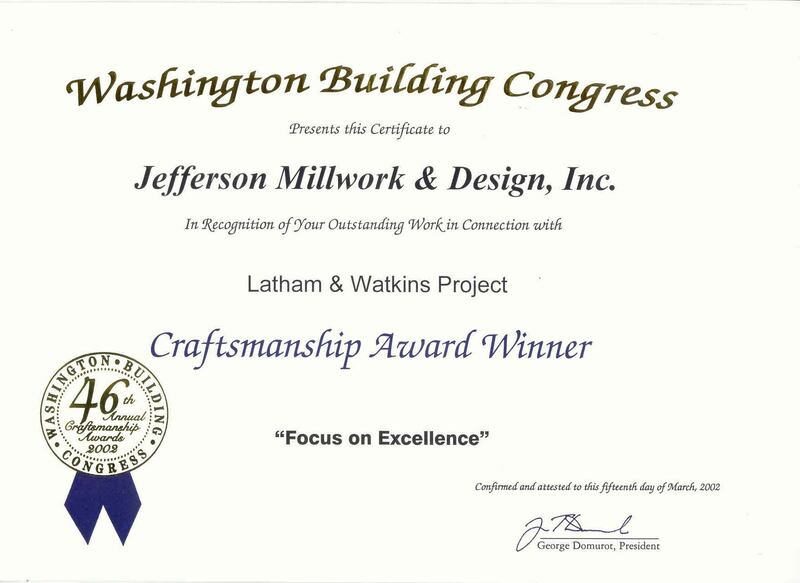 Their overall “Team Approach” along with their hard work, timely attention to issues, focus on quality and other positive qualities has proven yet again that Jefferson Millwork is one of the top millwork subcontractors! I wanted to say thanks to you guys and your team for your work at the ARNG project. You all did a great job and on time. 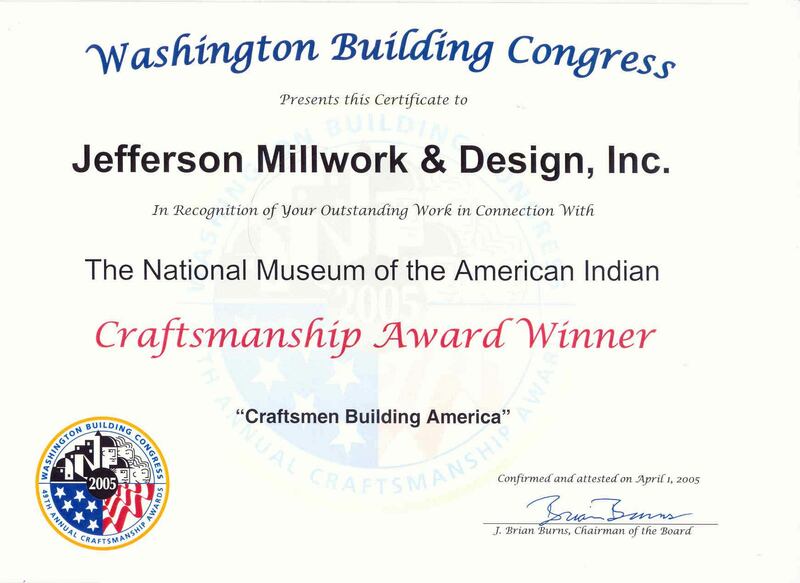 It was a real pleasure to work with Jefferson Millwork and I look forward to working with you again in the future! Very satisfied with the quality of manufacturing demonstrated by Jefferson, and also with the quality of the final architectural woodwork products that will be used on this project. 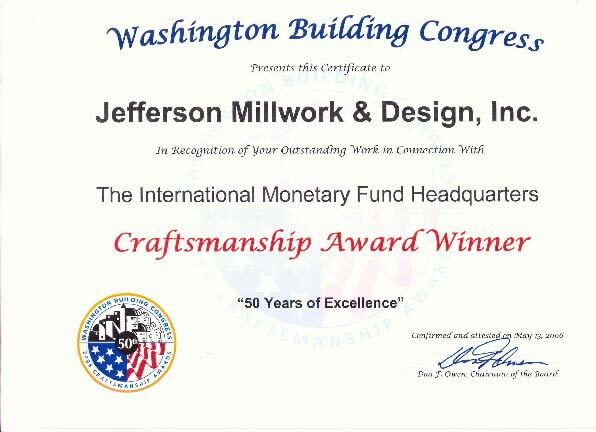 Interested in Using Jefferson Millwork for Your Next Project? Contact us at any time using our online contact form. We look forward to hearing from you!